So I am a ham person. I’ll take ham over turkey any holiday. Or any weekday. 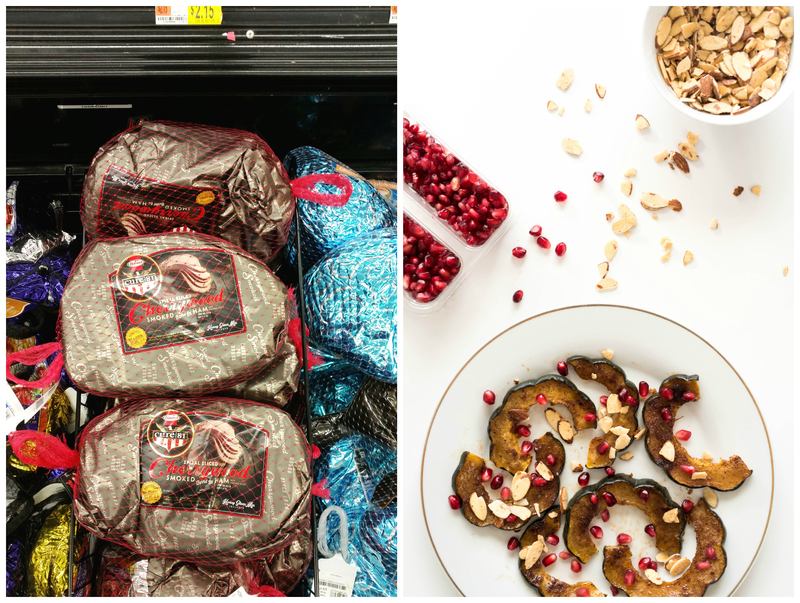 So when I picked up this big, delicious thing at Walmart I think I got overexcited… essentially I ended up building an entire holiday meal around it, which is a little over-the-top for my little family of…two. Luckily we had a dinner get-together with two other families that night and got to share our spoils. It ended up being quite a smorgasbord, with the foods about as diverse as the guests. Think Thai curry, pad Thai, potatoes au gratin, homemade egg rolls, and my ham, among other things. Haha it was quite a varied and unexpected layout, but ham goes well with just about everything. This one is Hormel’s Cure 81 bone-in Cherrywood smoked ham; so so good especially with the glaze it comes with. 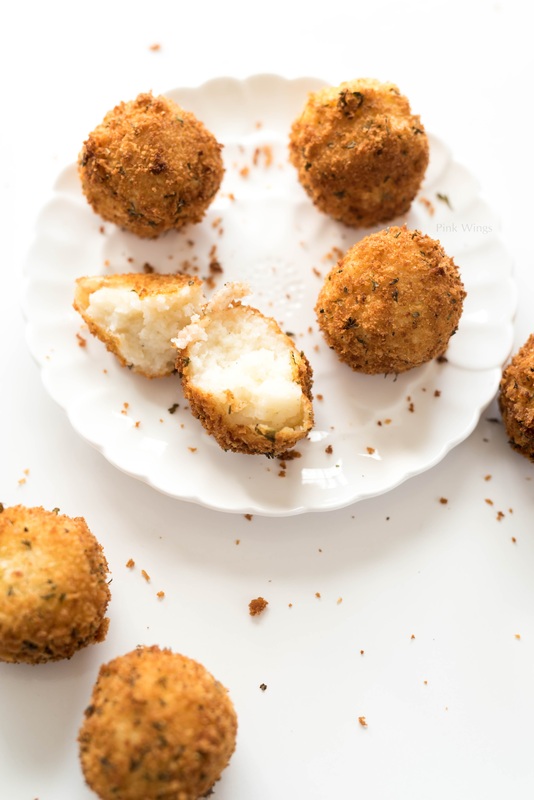 I also created a new kind of side dish for my holiday ham that no one at the get-together had ever heard of before, so they were all interested in trying it: potato croquettes. They’re essentially potato mixtures that are breaded and deep-fried. I love eating croquettes in Japanese bentos, but for this recipe I went with more traditional American holiday flavors so that they would make a good mashed potato alternative. They also would be great for using up leftover mashed potatoes and ham, nom. Are you a ham person too? Do you have a favorite non-traditional side? 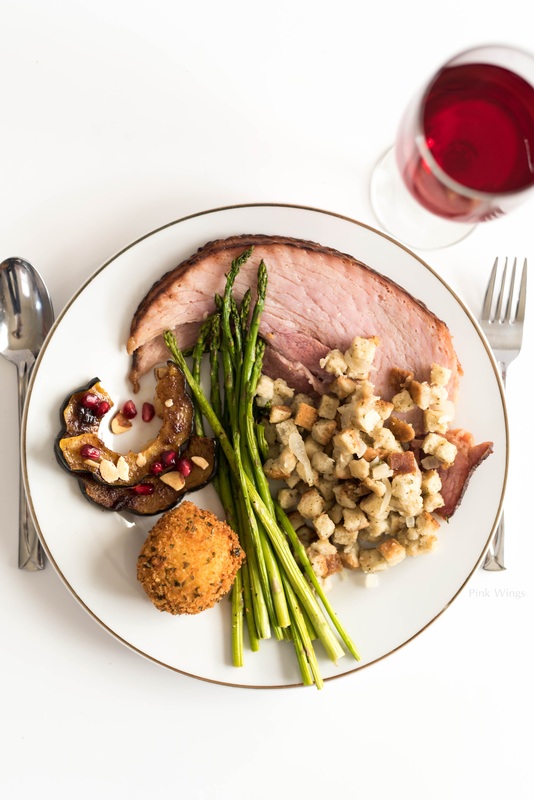 Find lots more side and leftover ham ideas here. Place your potatoes in a medium pot and cover with water. Place over high heat and boil until the potatoes are tender when pierced with a fork. Drain and return to the pot. Over low heat, shake and stir the potatoes to remove excess moisture for a few minutes until they are dry and powdery. Roughly mash them. Add butter and stir to melt. Then mix in the salt, pepper, and Parmesan cheese. (If adding ham, mix it in here.) Set aside until just cool enough to touch. Once cooled slightly, use an ice cream scoop or similar to make about 2-inch balls and place them on a pan. Place them in the fridge until completely cold. In a shallow bowl, mix together the panko, parsley, rosemary and Italian seasoning. Prepare two more bowls: one with the flour and one with the eggs. Set aside. Fill a large pot or wok with about an inch of oil and heat over medium. The oil is ready when you can sprinkle a pinch of flour in and it immediately fizzles us and disappears. Prep a cooling rack with paper towels underneath it. 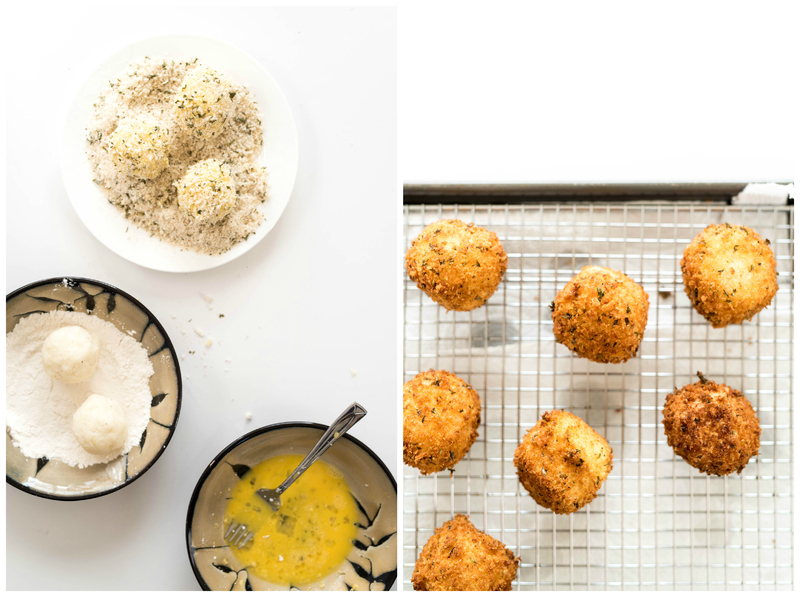 Take your potato balls and dip them first in the flour, then the eggs, then the panko. Make sure they are coated completely in each step. Fry until golden brown, then turn over to brown the other side. Remove to your cooling rack to drain. Serve right away. yummmm!! I feel like I would love Brazil! 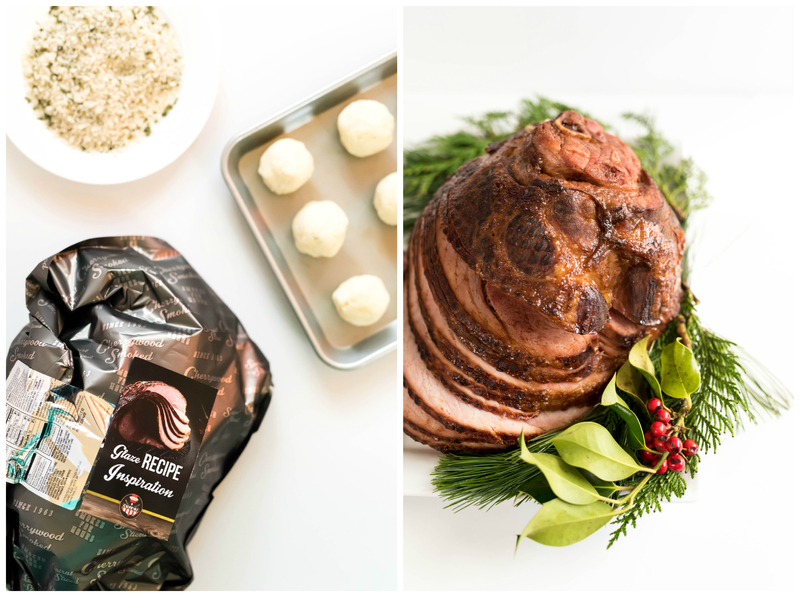 Ham is probably our favorite thing to eat during the holidays ever. I also prefer ham over turkey! Turkey just tastes like a big dried up chicken to me haha. Those potato croquettes you made look unreal! This one should be on our christmas noche buena. You are an amazing cook, thank you for making me hungry at midnight. All these delicious images are making me want to get a baked ham stat. Are you kidding me right now? I LOVE jello salad ha! Yumms! I love croquettes!! We do pork loin for Christmas, traditional Brazilian dinner! Can't wait!! 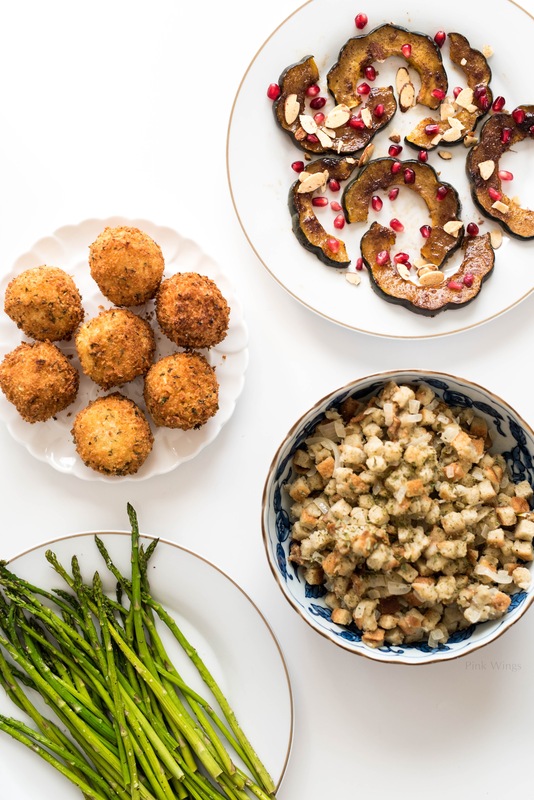 Wow, this looks like such a perfect holiday meal! Beautiful photos! This looks AMAZING! Great post! I can't wait to try this! 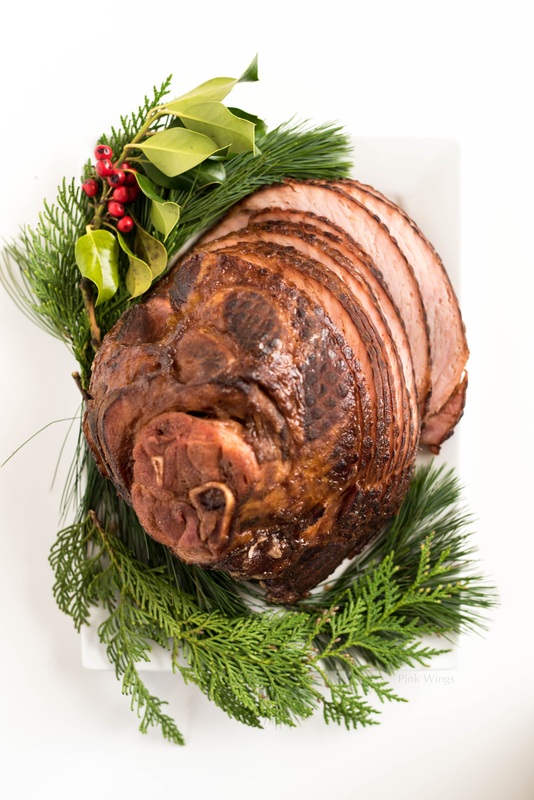 We always do ham for the holidays too; this recipe looks amazing! I'm dying to try the potatoes! Ooo girl you're on my level today, I'm definitely a ham girl and I love a good croquette! I'm not a meat eater over here but those sides looks delicious!! Beautiful photos! This looks amazing! I'd like some please!